This particular church is located in a small village called Tori, so the church carries the same name - Tori Church (or Tori kirik in Estonian). The village of Tori is located approximately eighteen kilometres north-east of the seaside resort city of Pärnu, on the road to Paide and Rakvere and beside the wide River Pärnu. First of all in Tori there was a little church called Maarja Chapel, but this was destroyed during the Livonian Wars (1558-1583). Nothing was done to rectify the situation until 1852, when a new church was built over the course of three years, being consecrated in 1854. This restored house of worship was again destroyed during the Second World War on 22 September 1944, by Nazi German troops as they fled in the face of a Soviet Russian invasion of the country. Only the solid boulder walls remained standing. 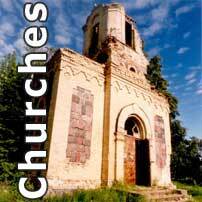 Soviet occupation followed, and while local people wanted to restore their church, the Soviet authorities opposed the idea. The church remained in ruins for many years, with a shooting gallery operating within its grounds. The idea to restore it came up again in 1989, during the move towards Estonian independence, and reconstruction began in 1990. Regular services began in 1994. 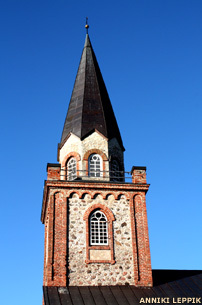 The restored church was consecrated to the memory of Estonian soldiers in 2001. 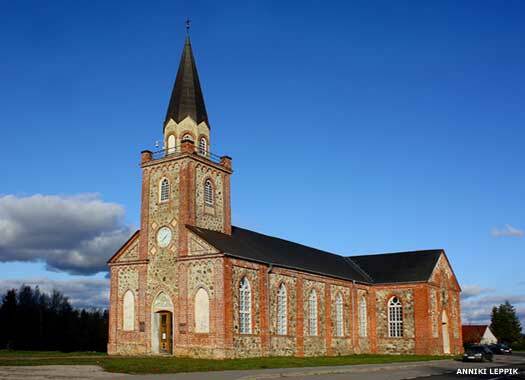 It has since become a tradition in this memorial church for all Estonian soldiers to light fires and send them all over the country on St George's Day (23 April) and again prior to Victory Day (22 June). So it's clearly one of the most important churches in Estonia today. Images and text copyright © Anniki Leppik. An original feature for the History Files.